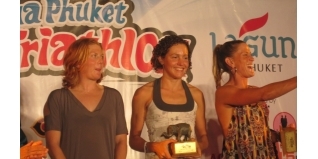 Sunday saw the 17th running of the 'Race of Legends', the annual Laguna Phuket Triathlon in Thailand. 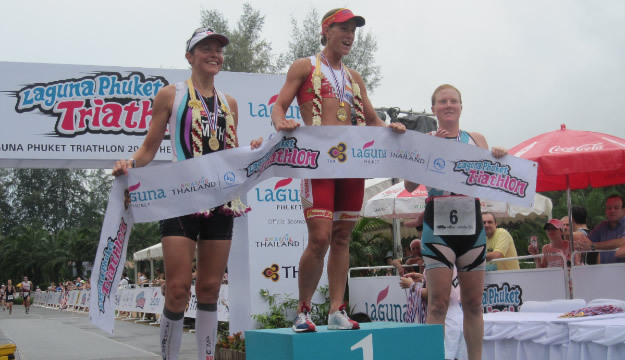 The 1.8km swim, 55km bike and 12km run is one of those races which features on plenty of triathlete 'to do' lists, as the stunning Thailand location attracts competitors to an end of season paradise. The role of honour features some of the greatest names in the sport over the past two decades. This time it wasn't in scorching temperatures but in pouring rain. This made for unusually treacherous and rather slippery conditions on the bike. I can't say I really noticed it after having been training in Krabi, Thailand for the last month where it's consistently been raining, no pouring, every afternoon. It is supposed to be the end of the monsoon rainy season but clearly I brought the good old English rain with me. I was in the first wave alongside the other pros and fastest age-group men. We started from the beach tops and sprinted into the Andaman Sea. We swam one loop in the Sea, being stung by all sorts of ocean creatures, before exiting the water to make a 100m dash up and over the beach to plunge into the bath-like waters of the Laguna. I was still a bit stuffed from the week's hard training in the lead up so the race this for me was a suffer fest from the gun. The non-wetsuit swim also didn't help. Not one to be deterred I came out onto the bike. It began with some tasty sharp climbs and descents and once those were done, it was a flat time trial course. I kept pushing and pushing and found myself finishing the bike right next to Samantha McGlone and Martina Dogana. We all exited T2 together and someone shouted “the race is on for 2nd!” Brilliant I thought, let's keep that hammer down then! The run was a flat two laps around the sodden grassy greens of the golf course. I went out hard next to the other girls having no idea whether I'd be able to hold that pace. But my recent training stint proved its worth and whilst the others dropped off, I was pleased to hold pace right til the end to finish behind 8x finisher and 2x LPT winner Belinda Grainger aka ‘BG' and four minutes ahead of Sam McGlone. What a fun event and crazy awards ceremony. You could even say the drink and crazy dancing got close to the Xterra parties I've been to, and, that was BEFORE the awards had been dished out! These guys really know how to party. 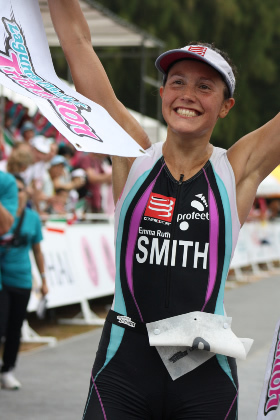 Looking forward to next weekend which is the ‘biggie' for us all – the Ironman 70.3 Asia Pacific Championship.